Make sure that your hoses are detached from the bib after you are done using them. Cap your hose bibs with insulators, especially when temperatures are below 32 degrees Fahrenheit, or 0 degrees Celsius. Do inspections to make sure that your bibs are not leaking. Leaking hose bibs can cause extreme amounts of damage, not just to your pipes and hose bibs; but, to you home as well. 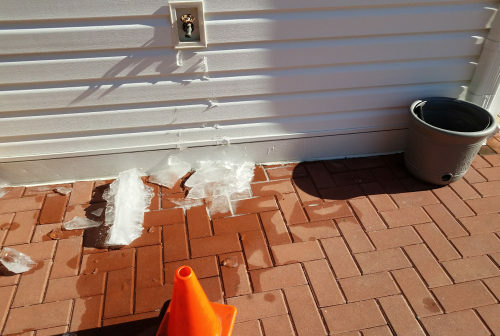 When hose bibs freeze, they cause the pipes behind the walls to break, which can lead to flooding. Flooding can damage your walls, floors, and appliances, so it’s important to make sure that you are prepared. Right now AllDegrees Plumbing is offering free inspections for exterior hose bibs. We will come out to your house, check your bibs for leaks, and perform a leak test to ensure that you don’t have any water leaks. Call 253-376-1203 to schedule your free leak inspection.